Learn how to go from being overworked and underpaid to achieving success by increasing your rates, finding ideal clients and hiring great bookkeepers while making more time for your family and friends. So many bookkeepers are underpaid. We'll show you how to be valuable and paid well for your services. 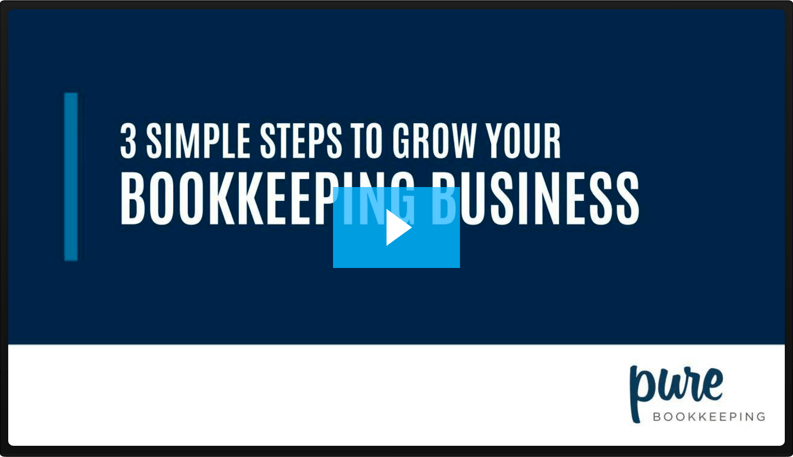 There are more great clients than bookkeepers. Let us help you find clients who will value what you do. A bad hire can make you want to get out of business all together. We'll show you how get the hiring right which will earn you more and give you freedom. Profit is the point of being in business. If you're tired of doing a lot of work for not a lot of money then it's time for a new strategy that's proven. If you're working 7 days a week and sometimes evenings and weekends. Let us show you how to work less while still earning more. Let's us show you how you can build an asset someone would value enough to buy. Please Enter Your Information to Get this Free Training to Grow Your Business!